In October of 2016, combined online traffic for mobile and tablet devices officially passed desktop, marking 51% of all online traffic for the first time in history. Following the tipping point, Google announced that they would be switching to a “mobile-first index,” meaning Google would consider the mobile version the actual version of the website, even if someone searched from a desktop computer. Therefore websites that were mobile-friendly were given preferential treatment in search results. Now, mobile traffic sits at 60% and growing. Although mobile first indexing is not live yet, it could happen any day now, and it is sure to have a major impact on websites that are not mobile friendly. If you have a website that isn’t mobile-friendly, you should start the process now before it is too late. Although these are still ranking factors by some consideration, they are more measures of content versus context. Remember, it is Google’s number one job to display the most useful information that correlates to a user’s search query, not the most alike. Content that contained between 1900 and 2000 words typically outperformed websites with less content. 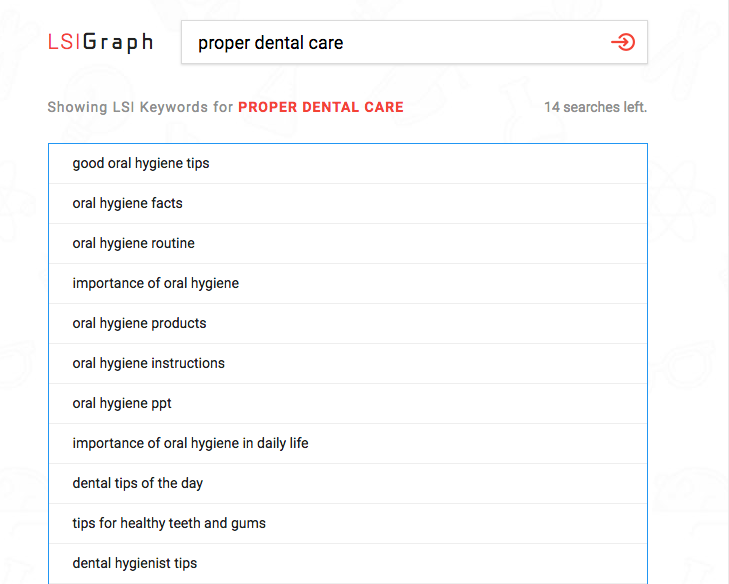 You can also use the blue hyperlink words at the bottom of Google’s search engine to get more LSI keywords and check them with Google’s keyword planner to look up search volume. 2018’s biggest SEO winner may very well be the rise in video search. In fact, according to Cisco online, video search could make up as much as 80% of all online search by 2021. Youtube is already the second largest search engine and increased 60% just this past year. Optimizing your videos with keywords and content like you do with a web page can also increase the chances of it appearing directly in search results. Nearly 55% of searches contain at least one video in the results. Out-bound video has also exploded in 2018. According to eMarketer, nearly 77% of marketing agencies say that out-stream video will be a crucial element to their clients’ success going forward. Unlike in-stream videos, out-stream video plays outside of video content. These are often used in social media feeds or placed in between content. These videos tend to have a much higher viewability since they can be placed anywhere and formatted to only play when in view of the user. A study by Marketing Land found that viewers actively watch out-stream ads for 25 percent longer than other types of video ads. The study also found that 42% of respondents who viewed these video ads were aware of the brand measured in the study, and 65 percent of respondents who were exposed to out-stream formats were aware of the ad upon video completion. People have also altered the way they search through the use of image searches, looking for topics such as “hairstyles for men” or “living room ideas.” Google image searches are made over 10 times as often as any search on Bing or Yahoo, and they represent more than 40 times the number of searches on Facebook. Again, these searches are based on increasing a user’s experience. To ensure better rankings it is important to use high-quality images and optimized alt tag and descriptions. Currently, one in five searches come from voice search, 35x from what was used in 2008, which is likely to grow with the adoption of smart home devices and the increases in mobile traffic. With that in mind, it is imperative to stay on top of voice search. The best way to optimize for voice search is to optimize for question dialog (such as titles using “Where is,” “Who is,” “How do I,” or “What is”…with answers listed in the content below). Google will usually favor text inside featured snippets and first page websites for voice search results. To stay up to date on the latest news and insights make sure to sign up to our blog or follow us on social media for real-time releases. If you are interested in learning more about SEO and how it can help you achieve your goals contact us or call (720) 350-4484.